I build high quality custom cabinets for your home. My showroom is your kitchen. During our initial consultation I will show you copies of my licenses, insurance, and references. Once we establish the style and layout of the project, we will look at real finish swatches, and I will create a scale 3D rendering of the entire project. Before any work starts, you will have in hand a physical sample that will match the finished product, as well as a complete set of drawings. 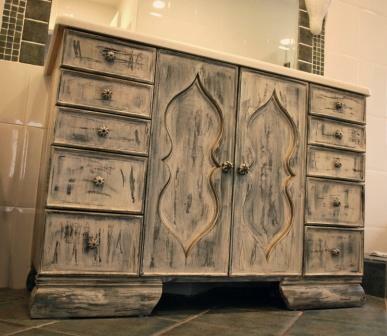 I can build cabinets of just about any style, contemporary, traditional, modern, rustic.. I like everything in Dwell Magazine, so if you find what you’re looking for there, then show it to me and that’s what we'll build for you. In the shop, the focus is on quality and attention to detail. I do the majority of the cutting and fitting of the wood myself. Building with wood is what I like to do. My policy on sourcing material is simple. I buy the best I can find. Tampa bay area is home to some outstanding timber wholesalers, many whom I do regular business with. 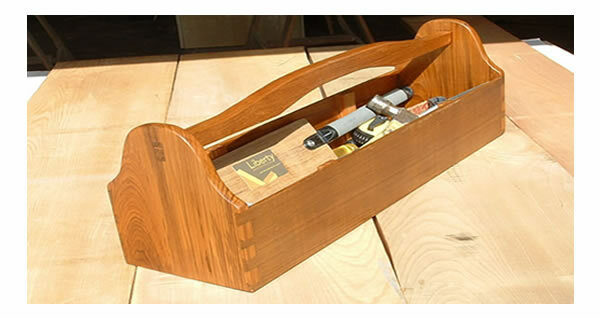 Once it is here, The wood is carefully selected with regard to grain pattern and tone. On projects that involve veneered panels, these are typically sequenced (cut from the same log), and we will arrange the pieces that are cut out of them to create a continuous look throughout the final product. In cases where there are lots of little parts that are all different, we sort and intersperse them to wind up again with a continuous, balanced appearance. There are no hardware upgrade options here. Top notch is the only thing worth buying; you are going to use it every day for a long time. All cabinets made here are constructed using LEED compliant, 3/4” American made, maple plywood, free of urea formaldehyde additives. Cabinet backs are 1/2” thick in the same plywood, more than double strength the industry standard. 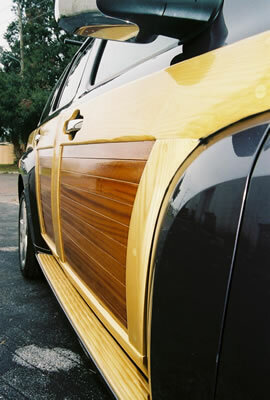 Do you have a finish you would like us to match? We can accomplish rough textures or very smooth, polished wood finishes, bright or dark colors, deep wood tones, whatever the design requires. We create custom finish samples for every project. 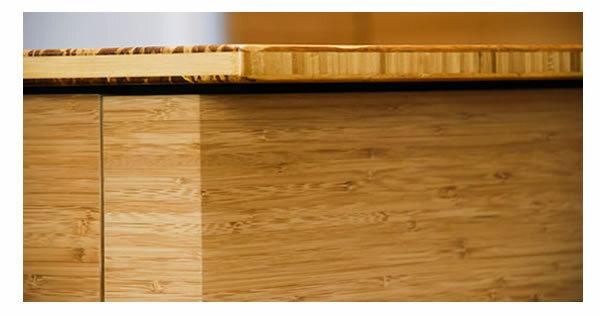 There is no limitation to the custom wood finishes we can produce, starting with clear lacquer on natural wood. 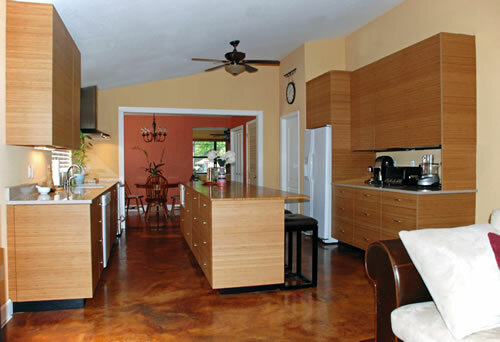 (We work with both water and solvent based finishes) We will employ any combination of wiping stain, dye stain, paints, and glazes to produce the desired results. Unique custom color stains are hand mixed for every job. Our distressed finishes are made to give an authentic impression of age and frequent use. 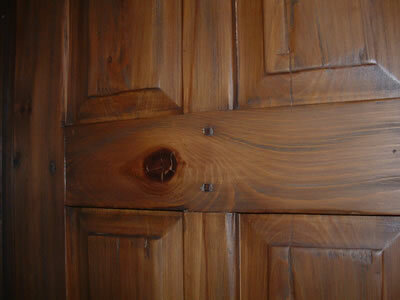 When we are given a sample of any finish on wood, or most any surface, we will match it perfectly, its amazing. We all shop at the same grocery and our kids go to school toghther. You have my cell phone number, the same one I've had for ten years. Whatever it takes to make the outcome one we're all happy with.. thats why you buy from a local craftsman. 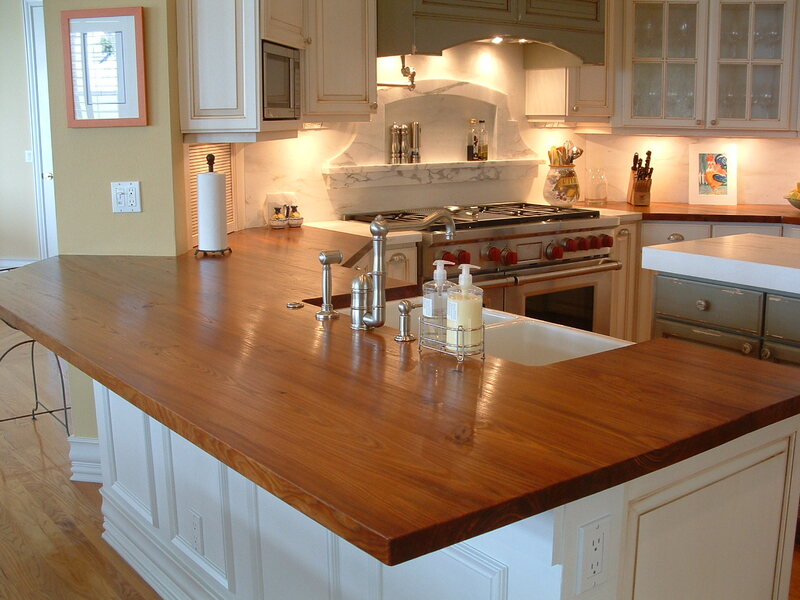 We will design and build your custom woodworking project, kitchen contractor, custom cabinets, custom kitchen, custom woodwork, floating shelves, and more!